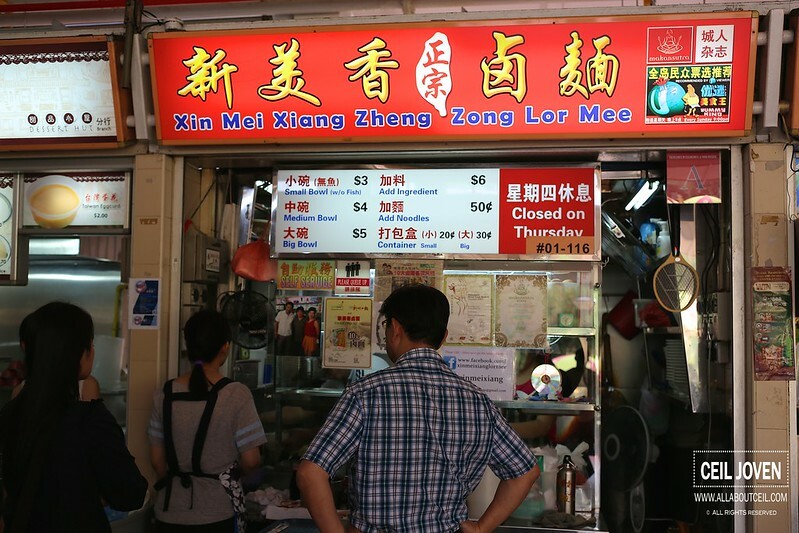 ALL ABOUT CEIL: Xin Mei Xiang Zheng Zong Lor Mee : One of the Best! Xin Mei Xiang Zheng Zong Lor Mee : One of the Best! This stall has been in this food centre for quiet a long while and they used to sell Lor Mee and Prawn Mee but only just Lor Mee now. There are 3 sizes for selection, the small ($3), the medium ($4) and the large ($5). The small one is served without the shredded fish meat. You could also choose the $6 portion with extra ingredients. The queue was still long with at least 10 customers right in front of me at 1.30 pm on a Monday. The wait is definitely worth while for a Lor Mee fan like myself. 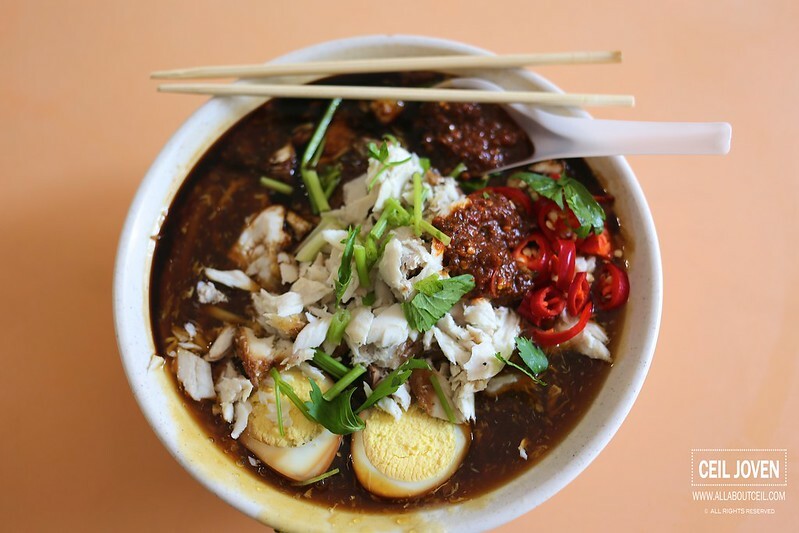 Their Lor Mee is slightly diffferent than those out there, they do not serve those fried fish nuggets but shredded fish meat just like the other famous one at Amoy Street Food Centre. I decided to go with the $5 portion with extra chilli added. 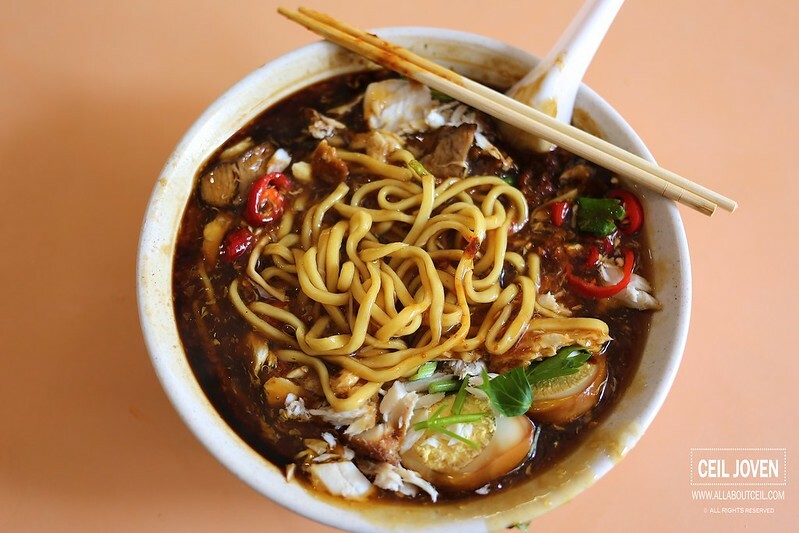 Such a big bowl of Lor Mee consists of a generous portion of shredded fish meat, braised meat and braised egg. It tasted so good with extra sambal chilli added and there is a slight hint of spiciness. To start, mixed it slightly to stir in those sambal chilli with the thick and sticky sauce. My first mouthful was a satisfying one, it tasted really good and i really enjoyed it. 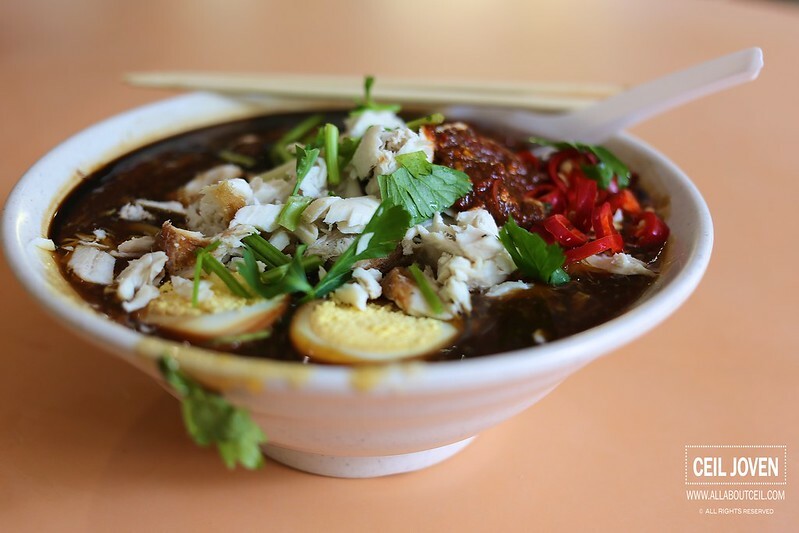 Such a delicious bowl of Lor Mee is my source of happiness and i will definitely come back more often from now.